Viking River Cruises: Who Else Wants to Sail on New Ships? Viking®, the world’s leading river cruise line, placed an order for seven new river ships that will debut in 2019. This includes six additional award-winning Viking Longships®, which will sail the company’s most popular itineraries on the Rhine, Main and Danube Rivers. One vessel is specifically designed for Portugal’s Douro River. The announcement for new ships comes on the heels of Viking being named the #1 River Cruise Line by Condé Nast Traveler in the publication’s 2017 Readers’ Choice Awards. With the addition of the new river ships, Viking will operate a fleet of 69 river vessels around the world in 2019. Keep reading to learn more about the new ships from Viking River Cruises. The following explores Viking Cruises Longships and what you can expect when you sail with the river cruise company Perhaps you’ll sail on one or more ship! More recently, Viking topped USA Today’s annual Readers’ Choice Cruise Poll for “Best River Cruise Line,” and was named “Best Danube River Cruise Operator” in AFAR magazine’s 2017 Travelers’ Choice Awards. Sail on a Viking Longship, and you’ll discover a patented corridor design and cutting-edge technology with comfortable amenities that reflect guest preferences and current travel trends. Viking’s revolutionary all-weather indoor/outdoor Aquavit Terrace reinvents the onboard lounge experience. How? By bringing the panoramic outdoor river scenery indoors with retractable floor-to-ceiling glass doors – you enjoy the views and dine al fresco. Viking Longships accommodate 190 passengers in 95 staterooms. They have a patented layout that allows for two Explorer Suites – the largest river cruise suites in Europe – as well as seven two-room Veranda Suites with a full-size veranda in the living room and a French balcony in the bedroom; 39 Veranda Staterooms with full-size verandas; and 22 French Balcony Staterooms. Stay in a stateroom, and you can expect comfortable amenities such as hotel-style beds, heated bathroom floors, mini-fridge, and both U.S. and EU outlets. All Viking Longships have sustainability upgrades, such as onboard solar panels and organic herb gardens, and energy-efficient hybrid engines that also reduce vibrations for a remarkably smooth ride. Viking’s new ship for 2019 will be designed specifically for the company’s Portugal’s River of Gold itinerary. Because of higher customer demand, the new sister ship will join Viking River Cruises existing fleet of three ships on the Douro. The new ship will accommodate 106 passengers in 53 staterooms. Although the Douro ships are smaller than Viking Longships, they have many of the same popular features – including an Aquavit Terrace, a wide variety of stateroom choices, onboard solar panels, and an organic herb garden, as well as Viking’s signature Scandinavian design aesthetic. Are You Ready to Cruise with Viking River Cruises? Viking Cruises is “the thinking person’s cruise” because they provide you with extraordinarily well-designed river cruises that bring you closer to the culture of the world. 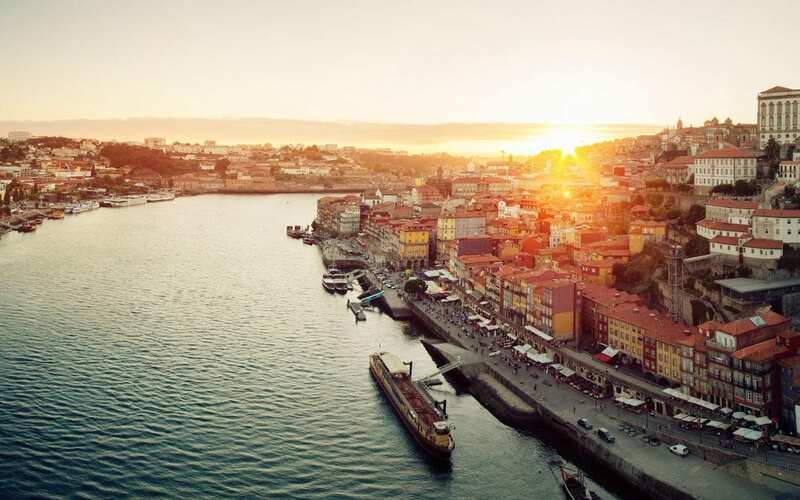 Itineraries are designed to give you the maximum time in port, often with late evenings or overnights so you can experience local culture at night or evening performances. Only The Viking Way of exploration gives you itineraries that feature Local Life, Working World. and Privileged Access experiences. If you’re ready to experience the Viking difference, contact your Travel Planners International agent or agency and book your 2019 Viking River Cruise.